Background: Among problem soils, saltification is one of the main issues, which rigorously influence the agricultural yield globally. Owing to saltification, over half a billion hectares of available land almost remain unused in crop production. About 20% of the irrigated area of the globe is seemingly exaggerated by salinization of soil. 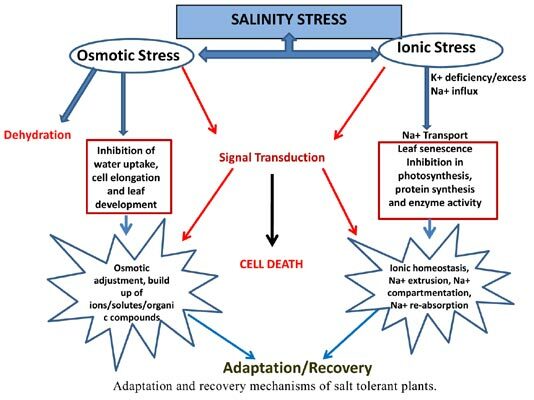 Hence, there is a necessity to search new ways to recover salt affected soils with the intention that these soils could sustain greatly prolific and consequential land-use schemes to convene the existing threats of worldwide food safety measures. Even though enduring answer of saltification needs a perfect drainage system to control the rising water table, but due to high cost and energy consumption this option is not feasible at large scale in large areas. Biological method such as Phytoremediation, i.e., plant-based approaches to management of worsening soils is a suitable choice. Methods: Available literature on the topic from the last few years and online accessible scientific matter was conferred while scripting this review article to find out the historical background and present scenario relevant to phytoremediation. Almost all the plants which have been suggested as a potential option for reclamation of problematic land are complied. Conclusion: Despite many reports yielding the significant phytoremedial efficacy of plants, additional exploration is desirable to identify more plants because many of the useful plants are still unexplored for this procedure. Preceding acquaintance needs relevance and advancement into tools which can be used easily by the common farmers without any uncertainty. Development of transgenic plants for this particular purpose is an area of future work. Alkali soils, phytoremediation, decontamination, halophyte, heavy metals, organics, pollution.